Take a stroll through the lovely town of Como, its Old Town is well preserved with the three towers of the city walls still standing, as well as traces of the walls themselves and several ancient churches. Do not forget to simply have a walk lakeside while admiring the beautiful views and soaking up all the history of Como and its Roman origins. Spend a day exploring the beautiful and quaint lakeside villages, criss-crossing the lake by ferry. Cernobbio is surrounded by stunning historic estates and has a delightful relaxed vibe. The stone village of Bellagio is the pearl of the lake perched on the strip of land on the Punta Spartivento, where the two arms of Lake Como meet. Visiting Argegno, Menaggio, and Varenna is also a special treat. Enjoy exploring and tasting the excellent variety of food! 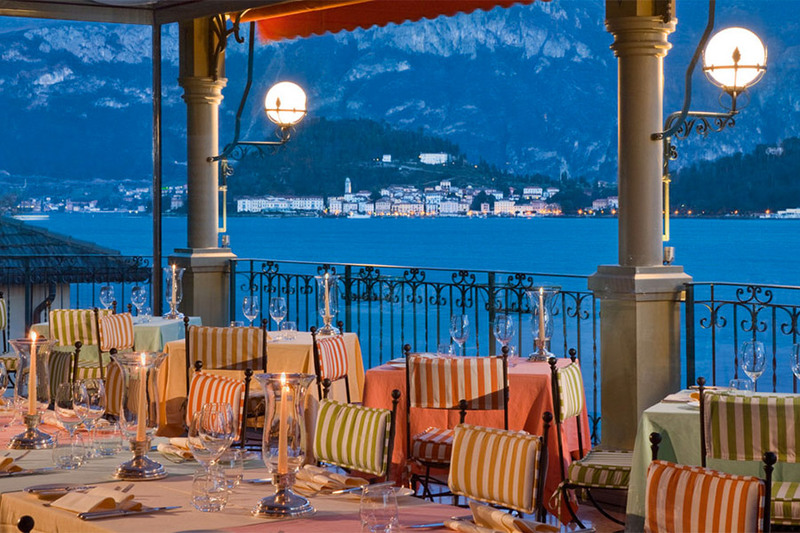 Lake Como and its region is filled with wonderful restaurants. They range from the simple, family-run trattorias which are inexpensive and serve some of the best food in Italy to Michelin rated haute cuisine. Many of the restaurants sit right on the water with gorgeous views. Others are located in the mountains surrounding Lake Como with stunning panoramic views. For a more sophisticated and elegant atmosphere, Switzerland, which is just around the corner, has some exceptional restaurants. 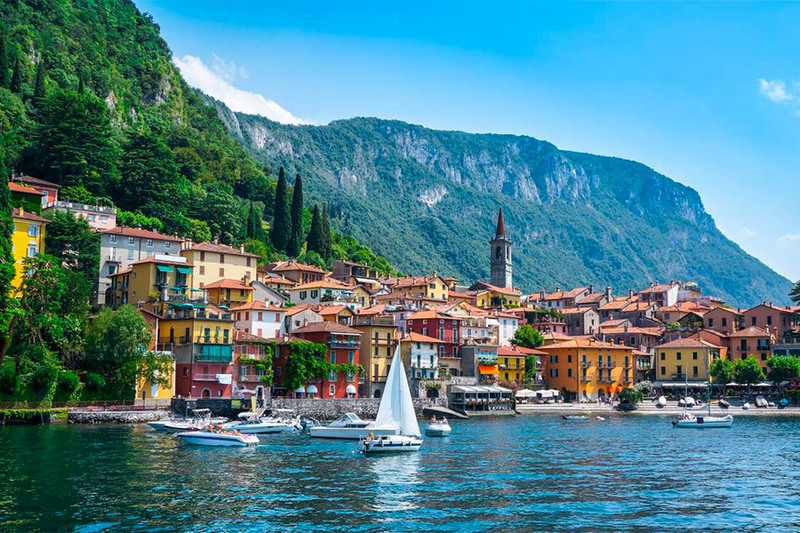 Lake Como is an active lake used by locals and vacationers alike. From hard hiking routes to less energetic ones, the hills surrounding Lake Como offer a large collection of walking trails suiting all tastes and offering gorgeous views over the lake. 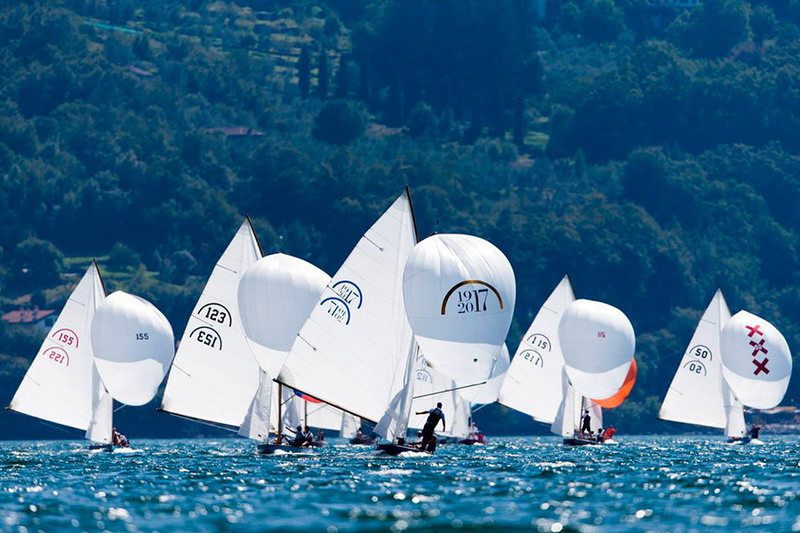 One has not seen Lake Como if it hasn’t been experienced from the water! Go sailing across its blue waters, and include a refreshing swim in the lake. For the most active ones water-skiing or wakeboarding are the perfect option to enjoy the lake at its best. Biking is a superb way to visit Lake Como. Serious bikers will enjoy a day’s ride all the way around the lake. Leisurely biking is also a delightful way to spend the day cycling across the picturesque villages along the lake. Lake Como region is also home to some of the nicest golf courses in Italy ranked highly by Golf World as among the best golf courses in Europe. Explore the beautiful Città Alta of the ancient city of Bergamo with its well-preserved fortifications, cobbled streets and tiny shops. Bergamo is also known for its outstanding cuisine. Just over the border of Italy’s Lake District lies the Swiss resort town of Lugano filled with elegant shops, refined restaurants and a beautiful lakefront. Experience the perfect combination of Swiss efficiency and tidy building façades with the vitality of northern Italy. Take the chance to see Leonardo Da Vinci’s masterpiece The Last Supper in Milan, marvel at the majestic Gothic Duomo. Not far from the Duomo is the world’s most famous opera house, La Scala. Also, not to be missed in the commercial capital of Italy, is a visit to the impressive Sforza Castle and Museum of Ancient Art. Lake Como region is a consumers’ paradise. Some of the world’s greatest designers are found in Como where you can't help notice the abundance of silk, this town has a long history as the center of Italy's silk manufacture. Just over the Swiss border you can get great bargains at Foxtown, a world famous mall hosting some of the best brands such as Armani, Gucci, Prada etc… at discounted prices. 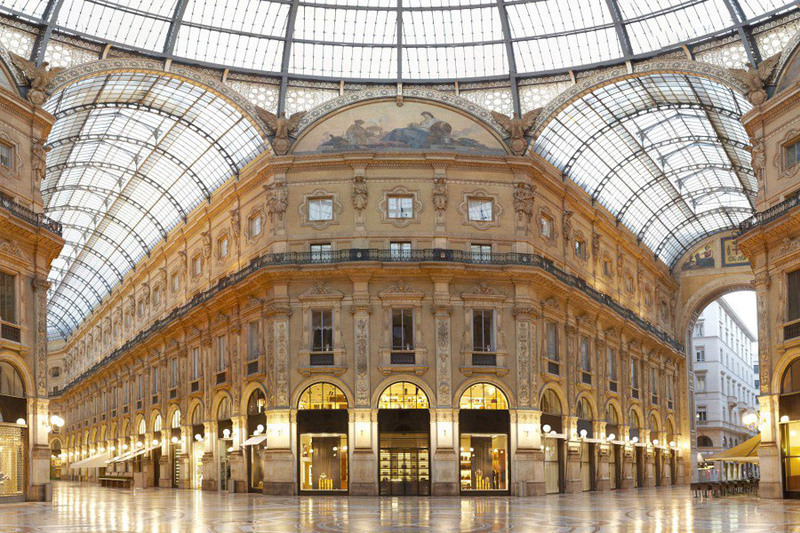 Milan has been crowned the fashion capital of the world thanks to designers such as Versace, Prada and Armani. Via Monte Napoleone and Via della Spiga with its boutiques are two of the most elegant shopping streets in Europe. The best time to visit Lake Como is from late April through the summer months when the temperature of the water is warm and the climate is mild. However, this area is exceptionally charming all year round. Spring and fall are great seasons for a lovely stay as the weather is still pleasant and the crowd subsides adding to the already peaceful atmosphere around the lake a special and peaceful touch.